As a wholesale distributor servicing the access control and security industries, Electronic Entry Distributors sells to licensed authorized dealers only. To place an order, please call EED ‘s sales department at 800-223-6879 Monday through Friday from 7:30 am Eastern Standard Time to 4:30 pm Pacific Standard Time. You can also fax orders to 310-516-6644 and e-mail orders to [email protected]. Due to the ever-changing nature of our product line, we do not offer an on-line ordering option at this time. 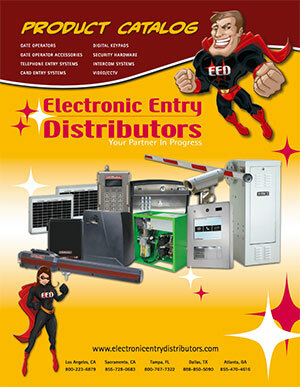 Please contact one of our Sales Representatives to inquire about our wide variety of products. To pre-order a copy of our newest catalog, please visit our registration page. Download Our C.O.D. Account form here. Download Our Credit Card Payment Authorization form here.